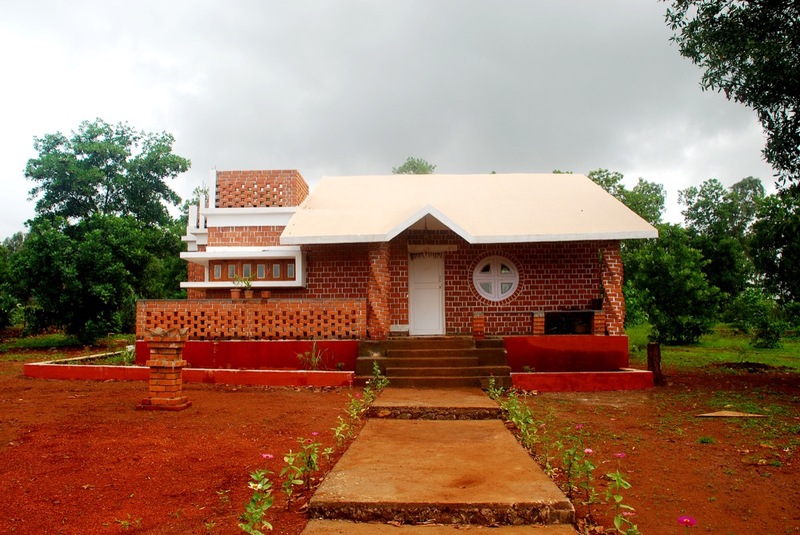 House at Pali, Raigad, by Mangesh Jadhav and Bhakti Panchal - ArchitectureLive! Graduated in Architecture, he is practicing since 17 years in the field of architecture and interi­ors. 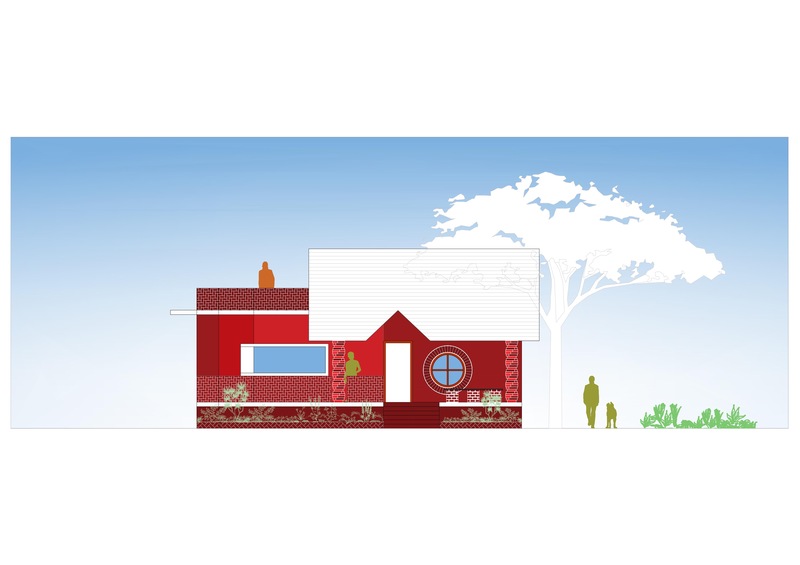 He specializes in minimalist, low-cost, and sustainable design practices. Graduated in Architecture and Masters in Industrial Design from National Institute of Design, Ahmedabad, she specializes in interior, furniture, and product design. 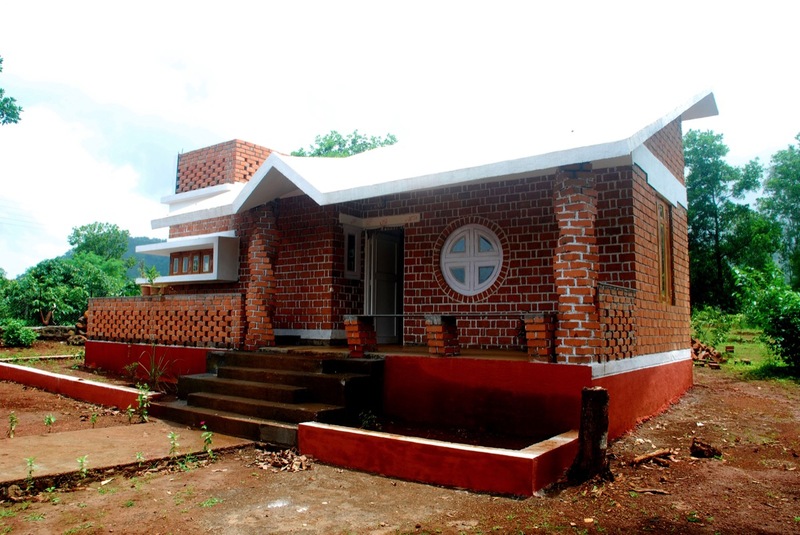 Nestled among the Western Ghats, in the Pali village of Raigad district, a white sloping roof with exposed brick walls strikes your attention amidst the green background. 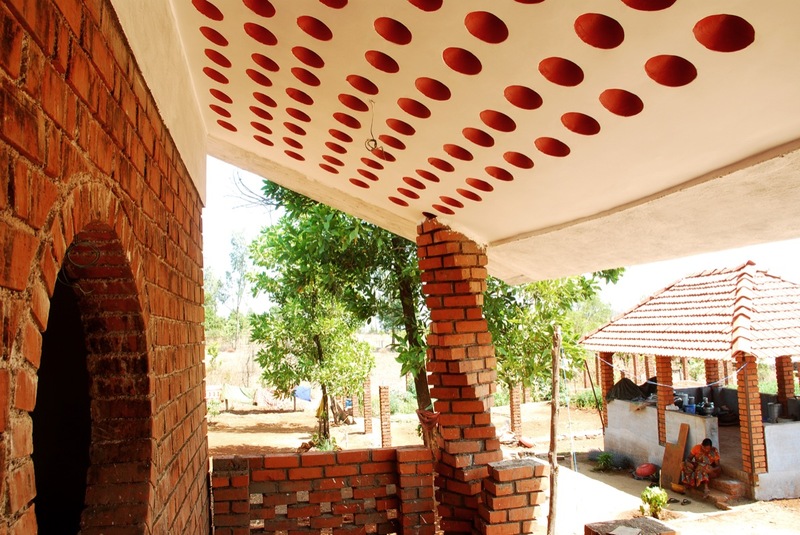 The structure addresses the tropical climate; an area prone to extreme heat and rains, at the same time, the architecture showcases the use of traditional methods and cost effective construction techniques. 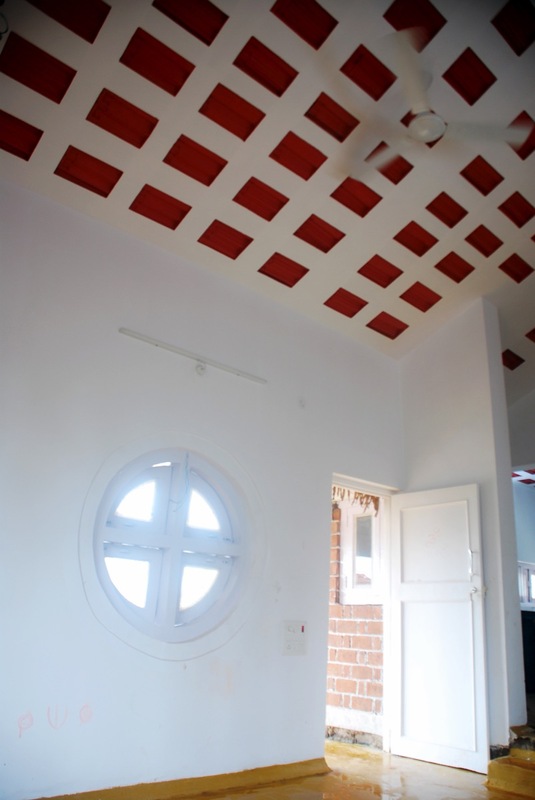 Bombay-based architect Mangesh Jadhav completes another vernacular style designed farmhouse for Mr. Radharaman and family. 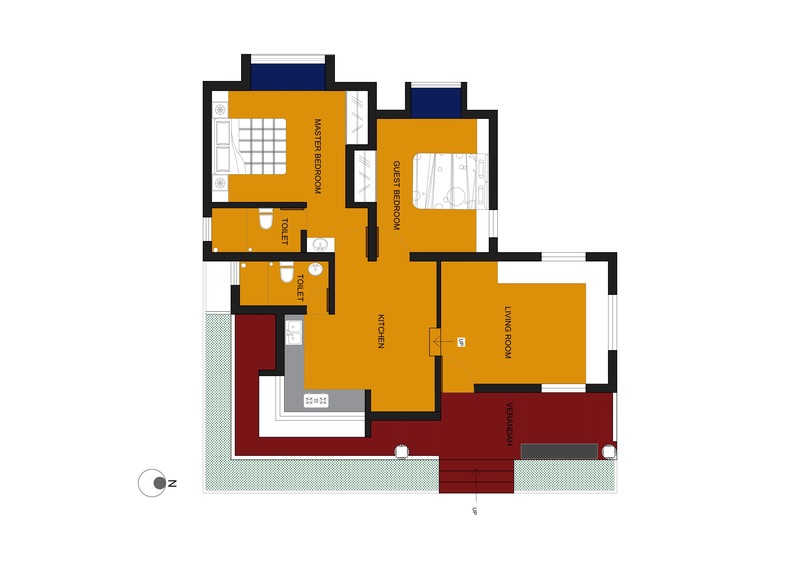 The family residence comprises of two main sections: a private area that contains two bedrooms, two bathrooms, a kitchen and a living with semi open veranda and the other section being a gazebo and a small farm for the day to day vegetable needs. The physical presence of the house is enhanced by the rural, tropical landscape that surrounds it. 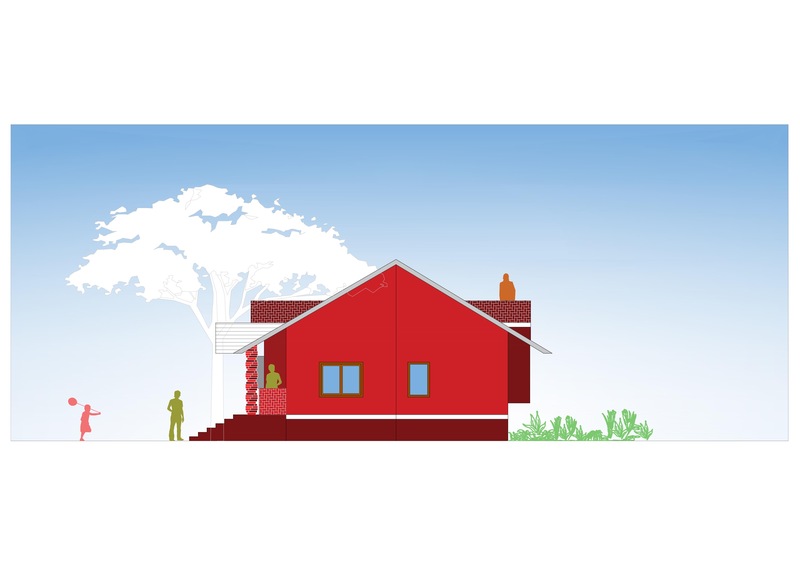 The plan is derived from a traditional village house with a veranda and a high pitched sloping roof. The distinctive feature of the building is the white sloping roof in concrete and the exposed brick façade in rat trap bond. 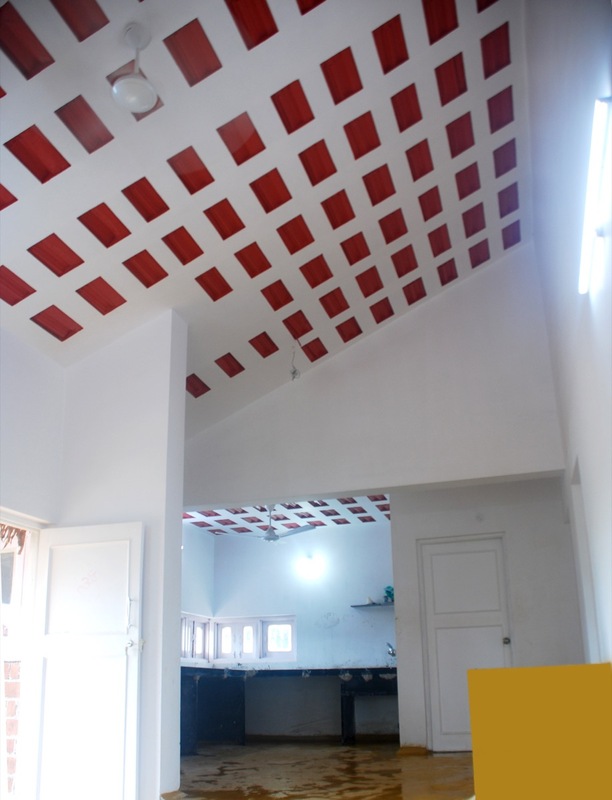 The concrete filler slab roof in clay pots and waste Mangalore tiles reduces the cost of roof construction by 20-30% as well as insulates the interior spaces. 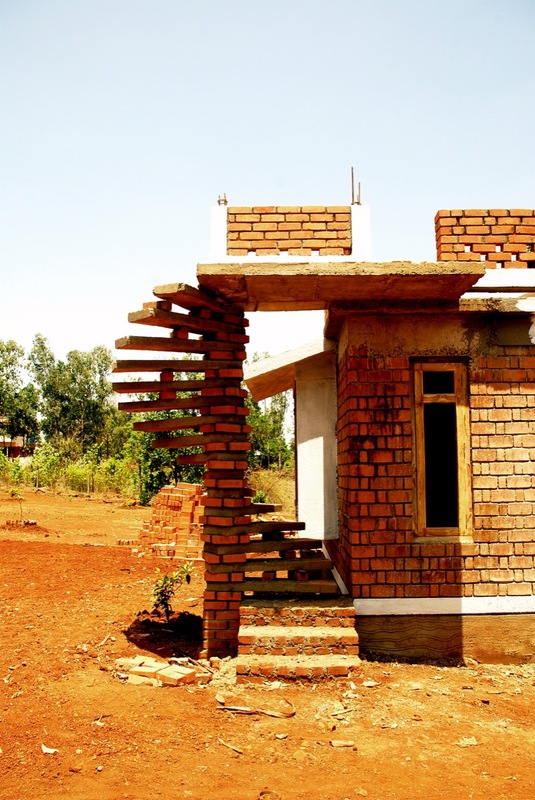 The rat trap bond used here in the construction of load-bearing walls reduces the number of bricks by 25% -30% as compared to conventional English bond thereby reducing costs without compromising on the strength. The seamless flooring is done in yellow epoxy making the rooms look bigger and brighter. 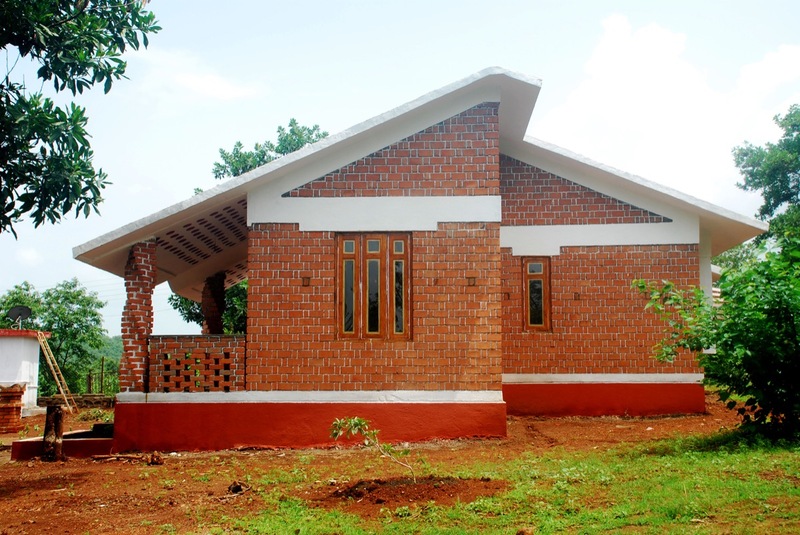 The sloping roof is supported by two twisted columns in brick in the veranda. A spiral staircase in concrete with a twisted brick pier leads to the part terrace. 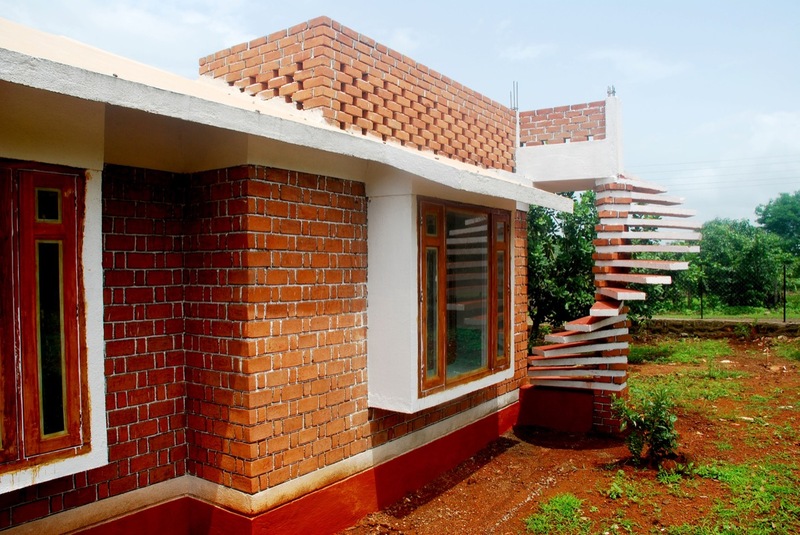 Local stone foundation, load-bearing brick walls, RCC lintels and filler slab supplemented with earthquake proof construction methods sums up the entire house. 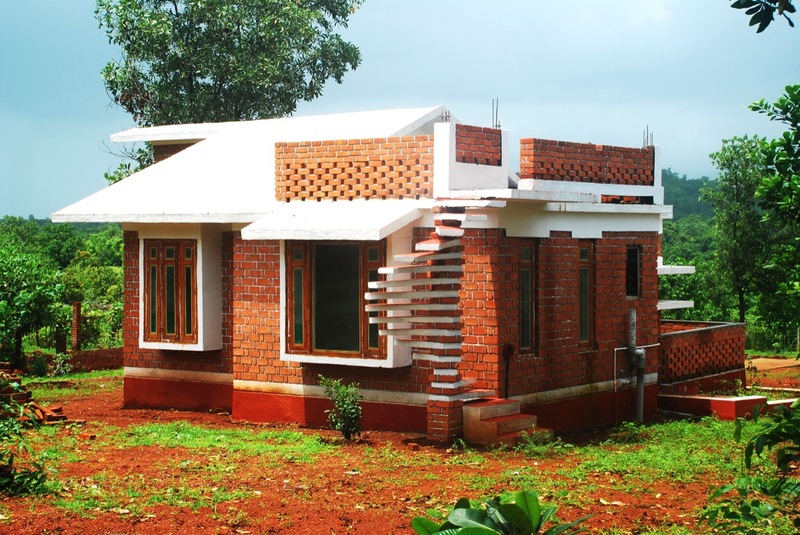 Type of Construction: Load bearing rat trap bond exposed brick walls, Filler waste Mangalore tiles and shallow pot slab. Local Contractor : Aashik Maniyaar from Pali. Built up area : 1450 square feet.